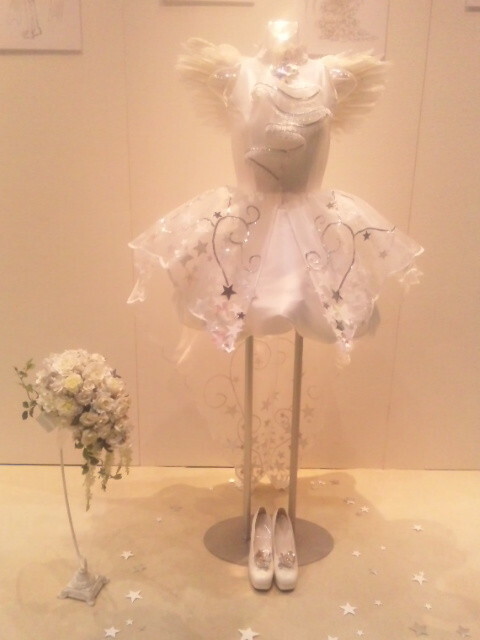 The wedding dress designed by CLAMP and inspired in Card Captor Sakura is currently on exhibition at the Tokyo Bridal Festa. The event will take place today and tomorrow in Tokyo. 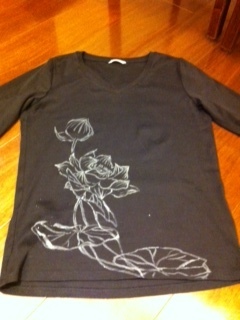 Below are some pictures of dress, there are also original drawings of Sakura and Chii wearing the outfit. So what did you girls think of it? 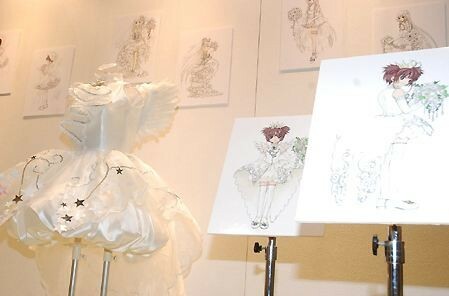 A wedding-dress designed by CLAMP and inspired in Card Captor Sakura will be on display at the Tokyo Bridal Festa. The event will take place on December 23 and 24 in Tokyo. The “collection” (not sure if it’s correct to call it this way since it’s only one piece so far) is called CLAMP BRIDAL. 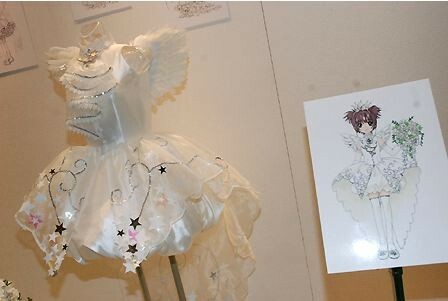 In addition, illustrations of Card Captor Sakura and Chobits will be displayed at the event. 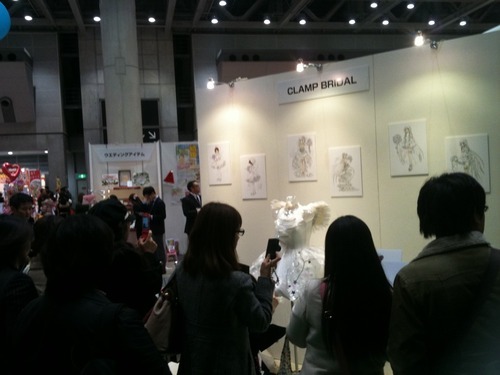 CLAMP doing wedding dresses? That’s so cool! 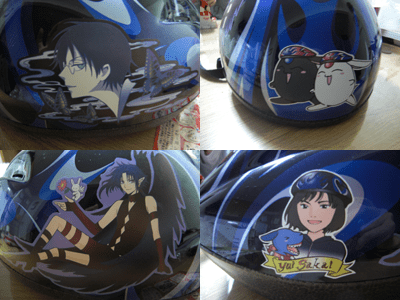 We always wanted CLAMP’s costumes to come alive. I hope this is only the beginning of CLAMP’s dive into the fashion world.